DOMESTIC abuse often starts with verbal abuse before it turns into physical violence. While physical injury may be the most obvious danger, the emotional and psychological costs are also severe. Dominance: Abusive individuals need to feel in charge of the relationship. They will make decisions for you and the family, tell you what to do, and expect you to obey without question. Your abuser may treat you like a servant, child, or even as his or her possession. Humiliation: An abuser will do everything he or she can to make you feel bad about yourself. After all, if you believe you are worthless and that no one else will want you, you are less likely to escape. Insults, name-calling, shaming, and public belittlement are all artillery of abuse. Isolation: In order to increase your dependence, an abusive partner will cut you off from the outside world by keeping you from seeing friends and family, or even prevent you from going to work. Threats: Abusers commonly use threats to keep their partners from leaving. Your abuser may threaten to hurt or kill you, your children, or other family members, and may threaten to report you to child services. Intimidation: Your abuser may use a variety of intimidation tactics intended to scare you into obedience. Such tactics include making threatening gestures, smashing things in front of you, destroying property, or putting weaponry on display. Denial and blame: Your abusive partner may minimise the abuse or deny that it occurred. He or she will commonly shift the blame onto you. Keeping it secret: Abusers can be very cunning, especially if physical violence is involved. Care is often taken to inflict wounds on areas of the body that can be concealed from others by clothes. The abuser will also try to ensure there are no witnesses to the abuse as this could have serious consequences for them. 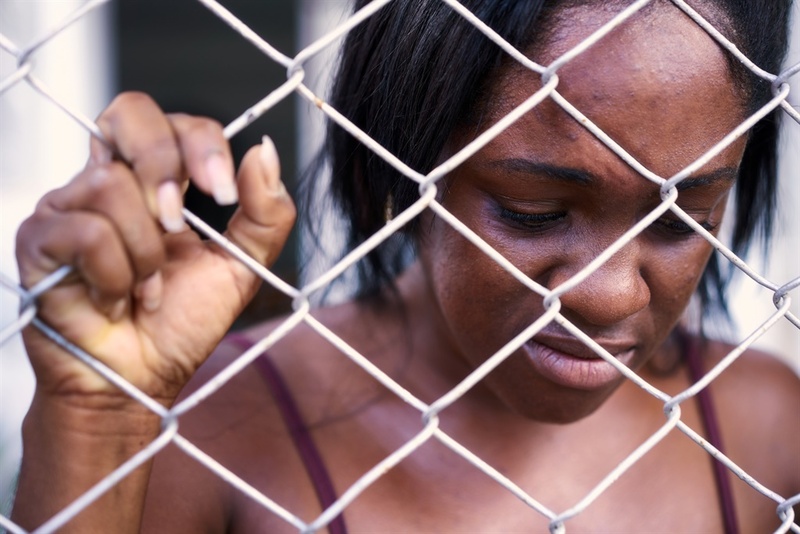 Denial or making light of the abuse: This involves pretending that the abuse isn't happening because it is too overwhelming to face what it means in her life. “I needed to believe that he'd never do it again...I still cared about him...I wasn't seeing... Denying what was happening to me was my way of hanging onto my sanity". Learning not to fight back: Fighting often escalates violence and causes her more harm. Substance abuse: This is a way of helping her numb the pain. "I was so nervous that I drank to calm my nerves". Suicidal thoughts or acts: This may be the only way out she can see for herself. "I thought about killing myself". Paralysis: She does not do anything because whatever she does leads to more abuse. "I would freeze... I was totally numb and dead... eventually I got paralysed with fear." Trying to please the abuser: She will go to extreme lengths to try to prevent violent outbreaks. "At home the harder she tried, the more she failed...I really did a lot of work trying to keep the lid on things, keep things happy... I became compulsive... I did everything right... did everything to perfection." Belief in her own inferiority: The abuser insists that she accept his opinions and be submissive, passive and indecisive. He needs her to be dependent and feel inferior so he can feel in control. If she is not, he is likely to become violent.